Matt Craigie Atherton was appointed to Mother's leadership team in the newly-created role of chief production officer in 2017. He was previously at adam&eveDDB as Head of Integrated Production, where he had worked for over 8 years. 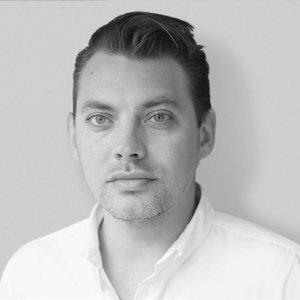 After starting out on the production company side for 5 formative years at Blink, Matt moved agency side in 2008 and after a stint at CHI & Partners he freelanced at Grey & TBWA/MAL before he arrived at the start-up adam&eve. Matt went on to produce much of the Christmas work for the retail client John Lewis Partnership, including their "most effective" campaign 'The Long Wait' in 2011 as well as the Cannes Lions Grand Prix 2014 winner 'Monty the Penguin'. Since joining 18 months ago, Matt has curated a wholly integrated production team for Mother - the UK's largest Independent creative agency & studio.